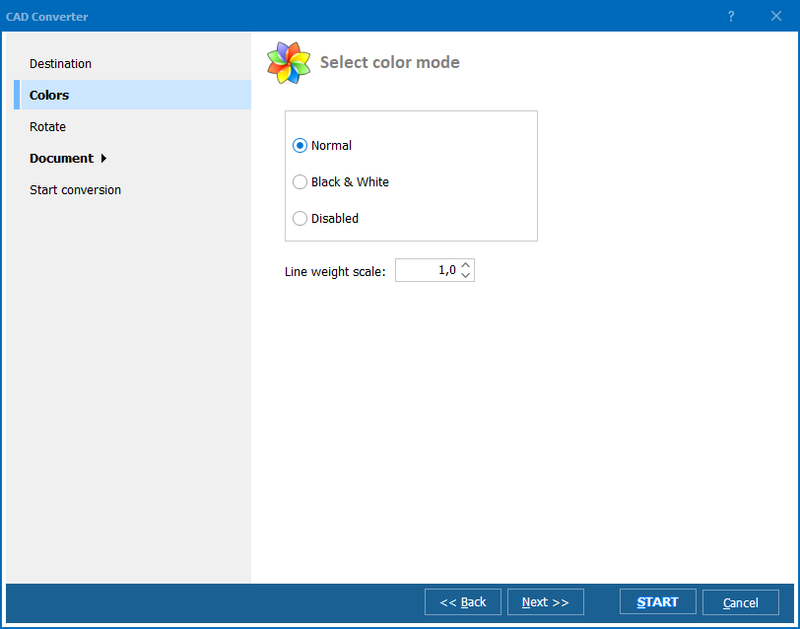 If you have SVG files, and your computer cannot open it, Total CAD Converter helps. It just converts such files into a supported format. There is no need of AutoCAD to view, edit or print SVG drawings. You can convert them to TIFF, combine together and manage as graphics. 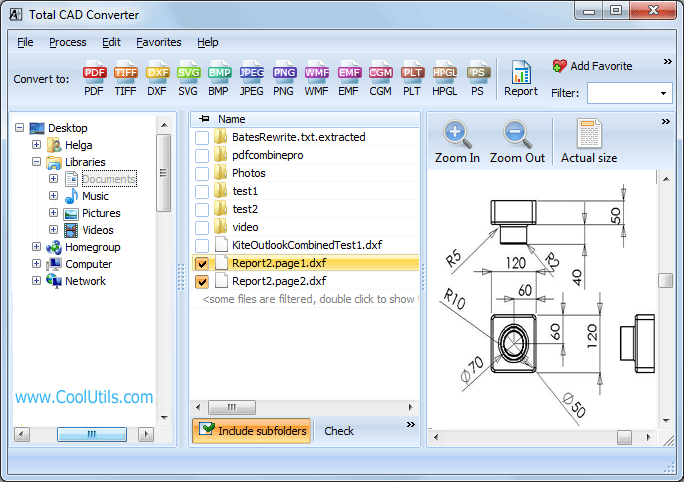 This is a universal tool for converting designs into various graphic and CAD formats (svg to pdf, svg to tiff, etc.). 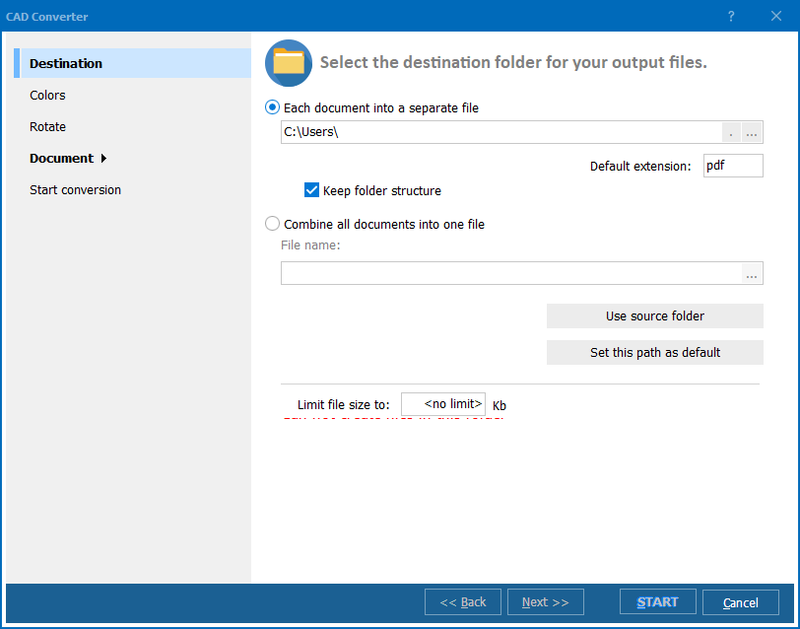 The major purpose of such export is extending files' usability. In AutoCAD it's impossible to turn SVG to TIFF, as well as in any graphic editor you cannot import SVG file. 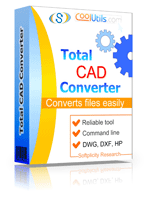 Total CAD Converter helps to switch from one format to another with ease. It takes a few seconds to process many SVG files in this manner. You can merge any number of drawings into one TIFF. There is ability to edit CAD drawings outside of its native software. This way SVG drawings can be modified in a graphic editor, if to convert it to TIFF format. This vector graphic file type is multi-page, and you can combine SVG into one TIFF, if a few parts of one design project are stored in separate files.Total CAD Converter features this conversion type together with a lot of others. Try it and make it easier to work with drawings!